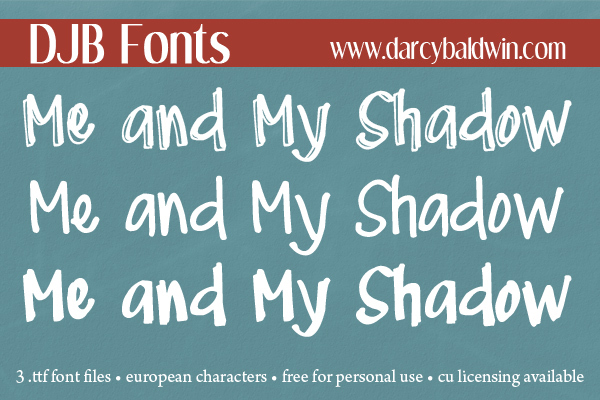 DJB Me and My Shadow: a three font family with shadowed, bold and slim varieties with European language characters. It is free for personal use only. If you have a question about what constitutes personal use, check out this info or contact me with questions. WEBFONT available at FontSpring and a license also available at Creative Market and at The Hungry JPEG.